An exceptional antique French oil lamp in full working order. 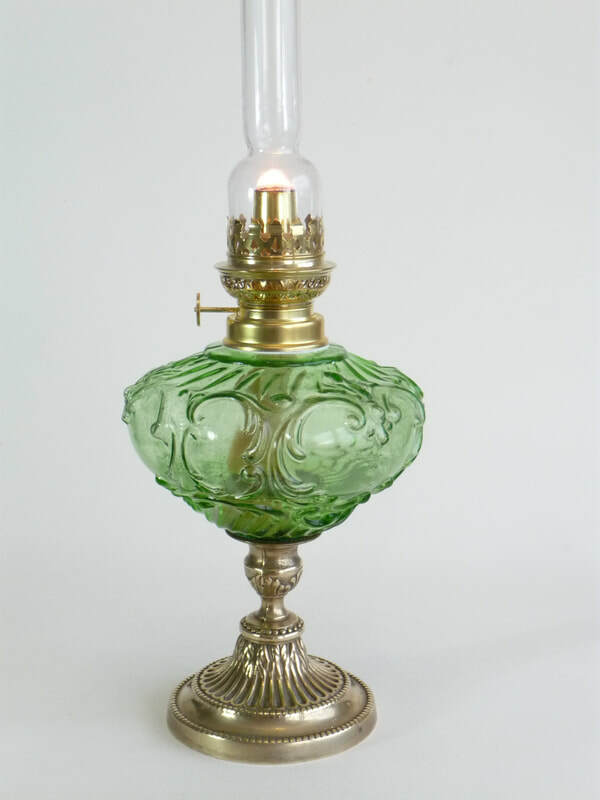 Dating from around 1900, this is particulary large making it incredibly striking. 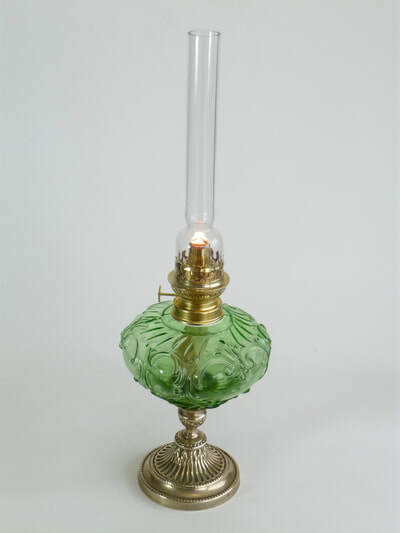 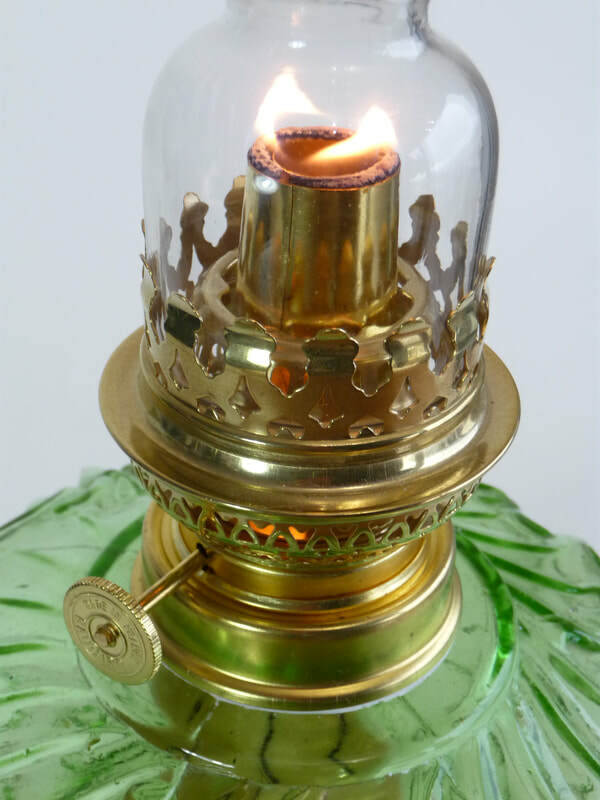 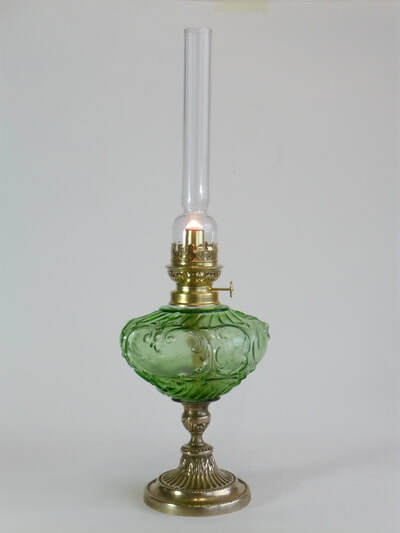 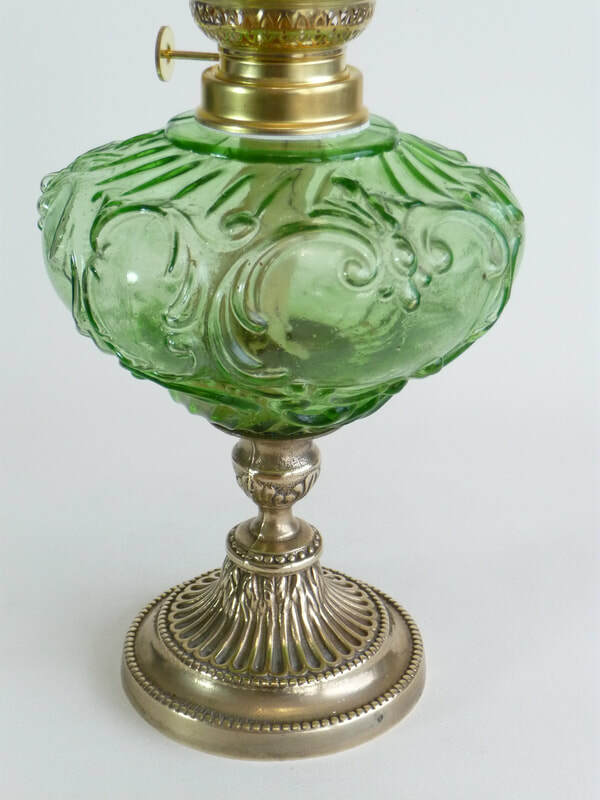 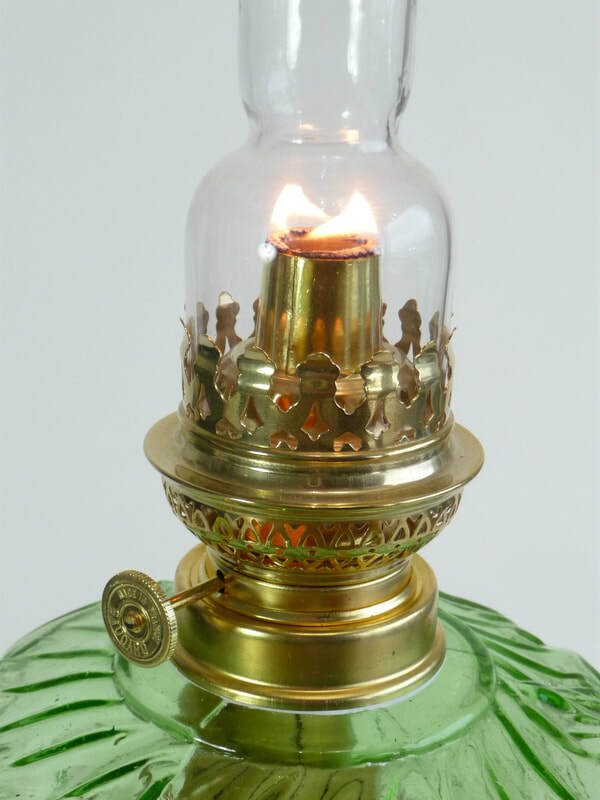 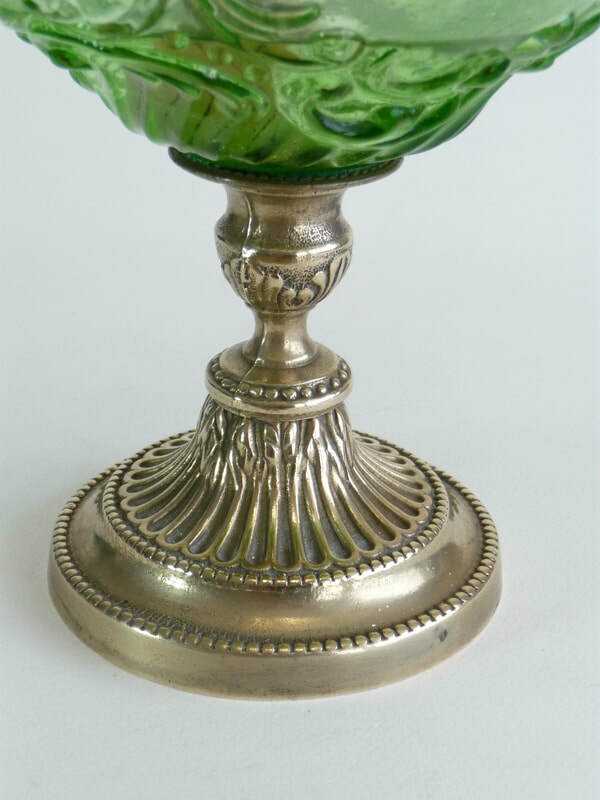 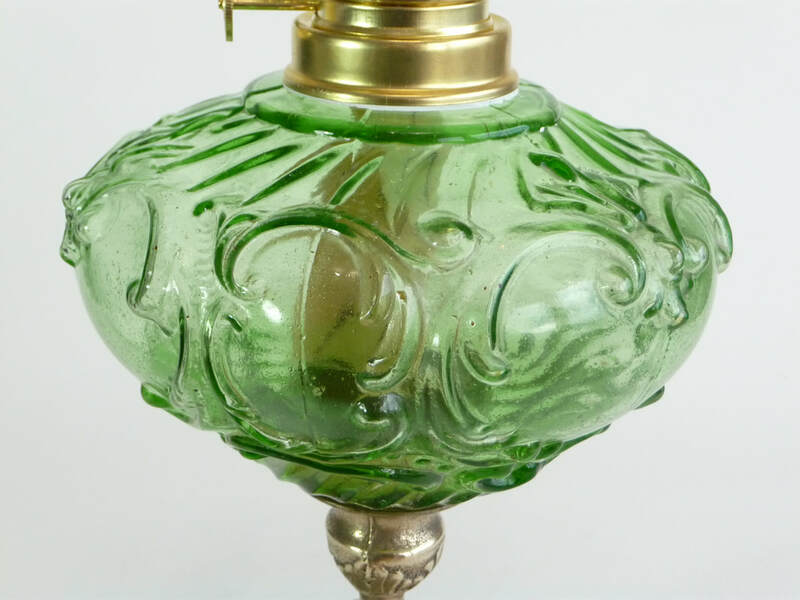 It has a heavy bronze base and an unusually ornate green glass oil reservoir. 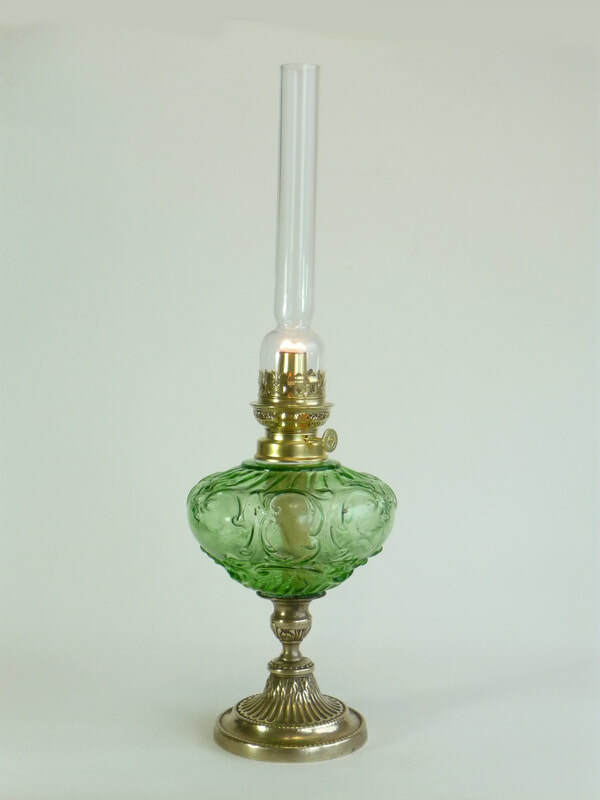 The lamp has its original narrow tall chimney which is typical of French oil lamps of this period. Condition: Excellent. 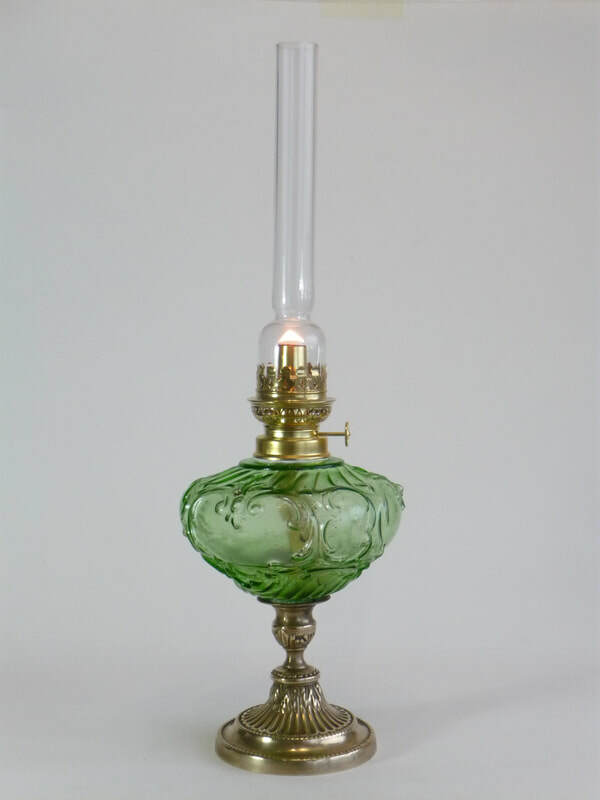 The lamp and bulb have recently been fully cleaned and refurbished. It is fitted with a new burner and wick and is ready to use.